No need to cross any streets to get to the beach from this lovely condo located at the beginning of St. Augustine Beach! Situated in the newly renovated Pier Point South condominium complex, this downstairs condo offers vacationers the beach escape they have been looking for. From romantic walks in the evening along miles of soft sand listening to the waves crashing against the beach, to a vibrant night life in bars and local restaurants this vacation condo offers it all. Come soak in the pool after a walk through St. Augustine's historic district, the nation's oldest city, or take the children for an exciting day adventure to the Alligator Farm, then go roam the old Fort Matanzas with a picturesque view of the intracoastal waterway. The condo setting even offers something for those who just want to sit and enjoy live music at the Pavilion while the kids play at the Water Park adjacent to the Public Pier, which is only a 2-minute walk from your home away from home. Newly equipped with pool heating! Perfect ground level spot for parents, grandparents, and toddler with pool, beach, and restaurant access right out the door. Very clean and kitchen has all of the needed amenities for dining in. This was our 5th year staying at this condo and we can't say enough about it! The condo is lovely ~ tastefully decorated, immaculate and recently updated. Everything you could possibly need or want is supplied and the kitchen is fully stocked. Outside is a private patio with new furniture and just steps to a beautiful heated in ground pool. Not too many more steps and you're at the ocean! The location is the best in St. Augustine Beach with great restaurants, shops and the pier all within walking distance. Last but NOT least, the owners, Doug and Mary are great people ~ so helpful, available and willing to please!! We feel SO fortunate to have found this condo and look forward to our next visit! Another wonderful stay at the condo owned by Doug and Mary. Condo main room has been redecorated since our last stay. We had a wonderful visit with our Georgia friends, a great view of the fireworks and just an overall good time. Weather could not have been better. C&E, we always enjoy having you stay as repeat, honored guests! Mary and I continually strive to make renters' vacations as enjoyable as possible. Thanks for your kind words. The landscaping is kept up and looks great. Units could be updated some. Had a good overall experience during visit. Staff was nice and owner reached out to make sure everything was ok during our stay. Our unit was nicer than most other ones we visited. Most units needed to be updated and ours could use some updating as well. I would recommend to others to stay here if they visit St Augustine. We would stay here again as well. 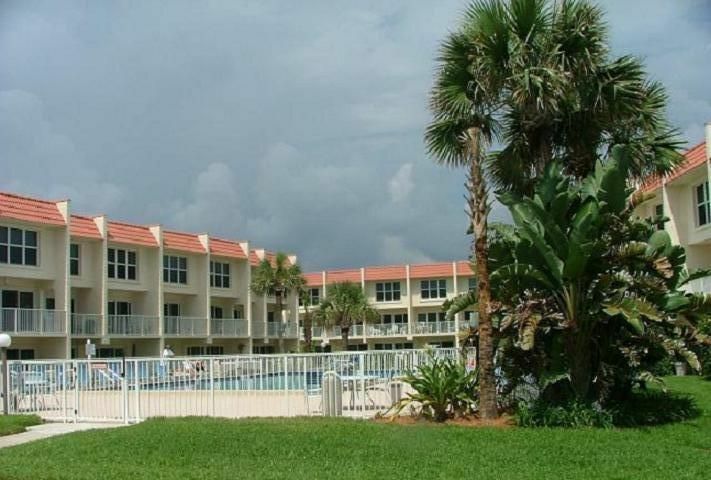 Great condo complex with the pool and adjacency to the ocean. We have stayed in this complex three times, and this was by far the nicest place we have stayed to date. It's a winner, and a great host too. Pier Point South Condominium is located on St. Augustine Beach which is part of the shoreline of Anastasia Island. The island is bordered on the east by the Atlantic Ocean and the Intracoastal Waterway isolates the island from the mainland to the north, west and south. 4 bridges: the Bridge of Lions to the north, the Intracoastal Waterway Bridge to the west, the SR 206 bridge to the southwest, and the Matansas Bridge to the south provide access to the island. Most days a refreshing sea breeze off of the ocean provides temperatures approximately 10 degrees cooler than people in the middle of the state of Florida experience. A valid credit number must be provided to keep on file during your stay in case of gross negligence. All information will be destroyed after departing the premises and the unit is checked for major damage. Minor breakage is excluded from liability. Prices are subject to change without notice!